This article is by Jing de Egurrola, a Cebu-based mountaineer. You can visit his blog at Pinoy Apache. PinoyMountaineer thanks him for this contribution! WHEN YOU ARRIVE in Cebu City by boat, the first thing you will notice is a conspicuous mountain range that is the backdrop of the metropolis. This protective range of mountains is called the Babag Mountain Range and is about 25 kilometers long from a north to south axis and about 4 kilometers at its widest. Its highest peak is called Mount Babag where it rises for about 752 meters above sea level and is Cebu City’s highest point as well. “Babag” is a Cebuano word for “obstruct”. Mt. Babag hosts an assortment of steel communication relay towers at its peak and it is secured now by a protective barrier to prevent people intruding into the compound. Some years ago, when only the RCPI tower was still standing, it is a convenient camping area for Boy Scouts. Today campers pitch their tents at a far-away hill just above the site of the former Swiss Chalet Restaurant and it is a very popular area due to its easy accessibility from Veteran’s Drive in Upper Busay by way of the Babag Ridge Road and could accommodate 20 to 35 tents. The other camping site is on another hill of about 150 meters distant from Mt. Babag and is less known. We call it Manwel’s Peak or One-Bamboo Hill. It could allow only up to nine tents but, it is the safest, as you could view the whole slope, the neighboring hills and valleys and part of Metro Cebu in a sweeping 360-degree angle. Like the former campsite it could be accessed through the Babag Ridge Road, although a bit further. Climbing Mt. Babag is very popular nowadays since the time when several routes that lay unknown for some time to local climbers have been familiarized and mastered. 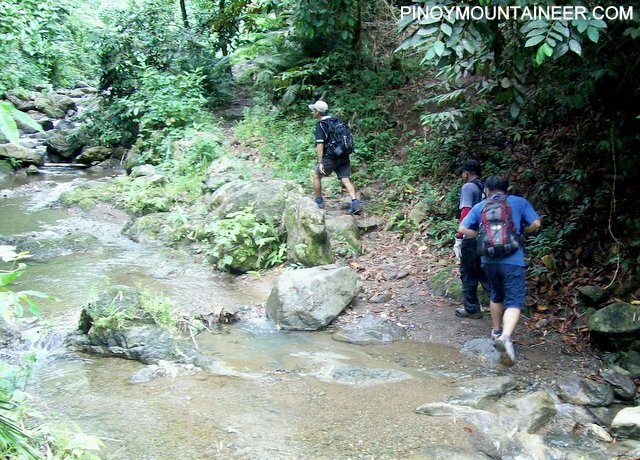 Foremost of which is Ernie’s Trail which have been converted by several outdoor clubs as a base training site in preparation for major climbs and is home to a small group of Cebuanos specializing in bushcraft and survival. 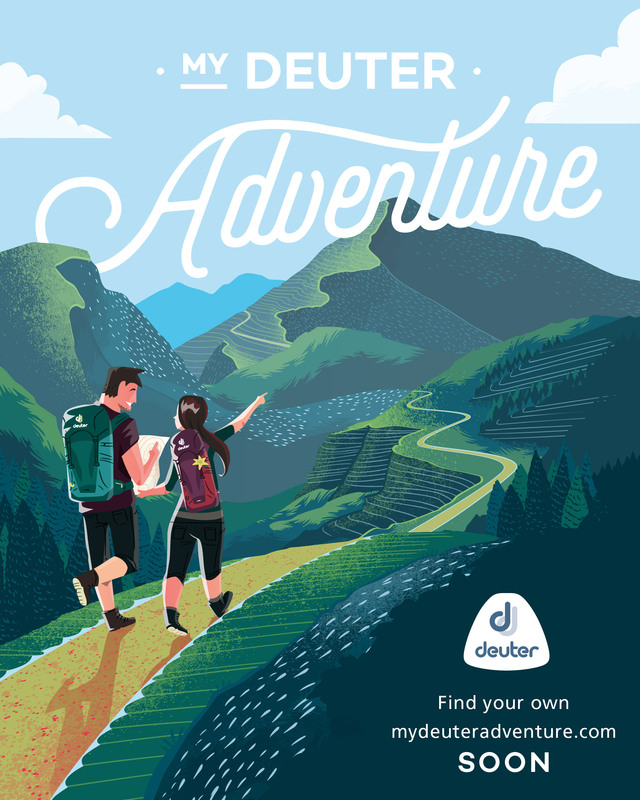 Tackling the mountain takes about two-and-a-half to four hours depending upon your mastery of the trail, your physical condition and the choice of routes. The perfect time to climb is early morning for short day hikes or mid-afternoons if you wish to camp overnight on Manwel’s Peak. The best place to approach Mt. Babag is to start from Guadalupe Church. Guadalupe is one jitney ride away from the downtown area. From Guadalupe, you either walk or ride motorcycles-for-hire to Napo on a stretch of slowly ascending concrete-and-asphalt road that straddles the barangay of Sapangdaku. 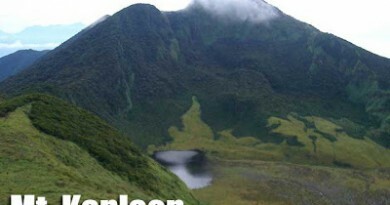 It is in Napo where the best routes to Mt. Babag will start. The Napo Main Trail follows the bends and turns of the Sapangdaku River until it reaches the Lower Kahugan Spring and a perfect resting place to refill your water bottles. Here the trail split into two routes: the Kahugan and Busan trails. Kahugan Trail is easier, wider but longer and is used as the main route by residents going to and fro Guadalupe to sell their vegetables and other farm produce. You will pass by Busay Lut-od Waterfalls, some houses farther and another watering stop at Upper Kahugan before the final stretch to Babag Ridge. Busan Trail is shorter but having a degree or two of difficulty. There is a small upland community and another resting and watering stop uphill where the Roble homestead is located. The family living here sells green coconuts at a very cheap price where you can also catch a good mobile phone signal. 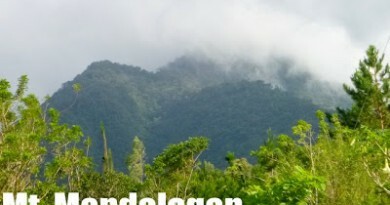 The wide area in between Guadalupe, Kalunasan, Sapangdaku, Busay and the Babag Mountain Range is planted with mangoes. Generally, this is mango country with an assortment of santol , jackfruit, duhat , tamarind, avocado, star apple, cineguelas and endemic forest trees growing in between plus coconuts, bamboo groves and madre de cacao shrubs. There are many small patches of farm planted with papayas, vegetables and flowers. During the rainy season when the Sapangdaku River is full, youths walk upriver to fish and hunt for catfish, fresh-water crabs and rare shrimps. All sort of birds abound this area most notable of which is the kingfisher, the Brahminy kite and the rare and endemic black shama. Busan Trail further splits into another route on its right, called Ernie’s Trail, which goes down into a small hanging valley and cross an unnamed brook where the trail is now a torturous uphill climb of 65 to 70-degree inclines, most of it using a lot of handholds. This is the most direct route to Babag Ridge and it takes about 55 to 90 minutes to climb starting from the Roble homestead. Once you arrive at the ridge line, the Babag Ridge Road will take you northeast to Upper Busay where the Veteran’s Drive takes you downhill to JY Square in Lahug. Getting there. If you want to exit back to Guadalupe, there are alternative routes that bring you downhill to the Kalunasan Circumferential Road. This general direction is much cheaper and shorter. Jitney rides from downtown to Guadalupe Church and vice versa is only P6.50. If you wish to ride motorcycles-for-hire to Napo from Guadalupe and back instead of walking, the general fare is P20.00 per ride or P10.00 per person if you are riding tandem. At the back of the church is a small roadside market where you could take meals or buy food provisions like rice, meat and other ingredients. The church’s south gate is another roadside market where fruits and vegetables are sold and vendors sell their displays here very cheap. Transportation. There are no specialized eco-tour agencies offering guided climbs to Mt. Babag except by the Jungle Wild Adventure which offer bushcraft and survival tours. It has its office in the third level of Mango Square, located in Gen. Maxilom Avenue, Cebu City with contact mobile phone number +63923-716-2705 or email pinoyapache@yahoo.com and look for Mr. Jing de Egurrola. However, you could contact some local mountaineering clubs like the Cebu Mountaineering Society, EWIT Mountaineers to name a few. I’m sure they could accommodate your request granting that they will have schedules to climb at Mt. Babag. 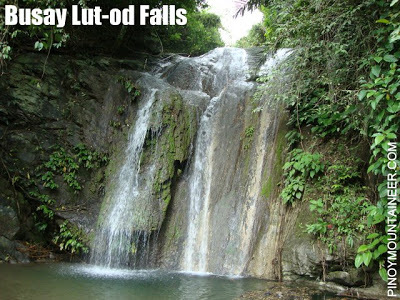 The waterfalls of Basay Lut-od form one of the highlights of the trek. The Sapangdaku River is another highlight of the Napo trail to Mt. Babag. 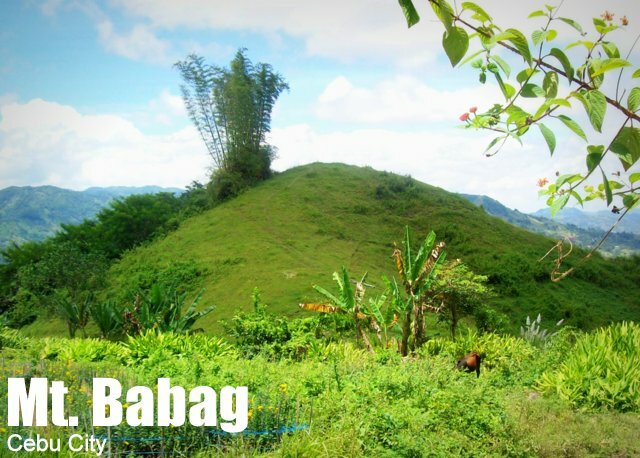 Historically, the Babag Mountain Range has been the haven of several generations of Cebuano resistance against the Spanish, the Americans and the Japanese as it is a natural look-out point. It is accessible from so many invisible trails coming from all around its peripheries until the Americans created a road over its ridge to manage the insurrection better. In this same mountain range are forgotten battle sites fiercely engaged by opposing sides, the last time of which was during the time of the liberation of Cebu by the combined forces of American troops and Cebuano guerrillas from the game Japanese. This article is the second contribution of Sir Jing in PinoyMountaineer. He was also the one who contributed the information for Mt. Manunggal. 1 Comment on "Mt. 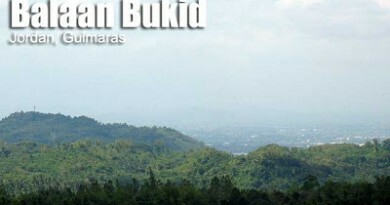 Babag (752+) in Cebu City"
I have been here and I wish to climb it again. Nice post!